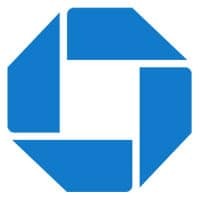 Chase, the largest credit card issuer in the US, is to begin issuing contactless Visa credit cards to “millions” of customers during the first half of 2019. Debit card holders will begin receiving contactless cards during the second half of the year. The announcement follows a prediction made by Visa CEO Alfred F Kelly earlier this month that as many as 100m contactless Visa cards will be issued by US banks in 2019. “Starting later this year, Chase customers will receive new contactless Visa cards on an ongoing basis as their cards are up for renewal or when they open a new account,” the bank says. “Tapping to pay will help speed our customers through checkout with the ease and confidence of paying with Chase,” says Abeer Bhatia, president of card marketing, pricing and innovation at Chase Card Services.